Mat finish LED filament candle from French manufacturer Girard Sudron. 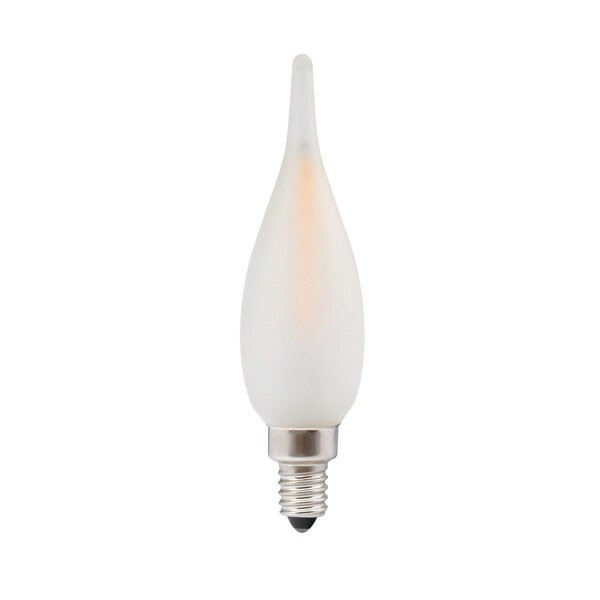 This 1W candle produces a very warm glowing light the equivalent to a 10W incandescent. The E10 (MES) screw cap base is usually compatible with fittings in old decorative chandeliers.